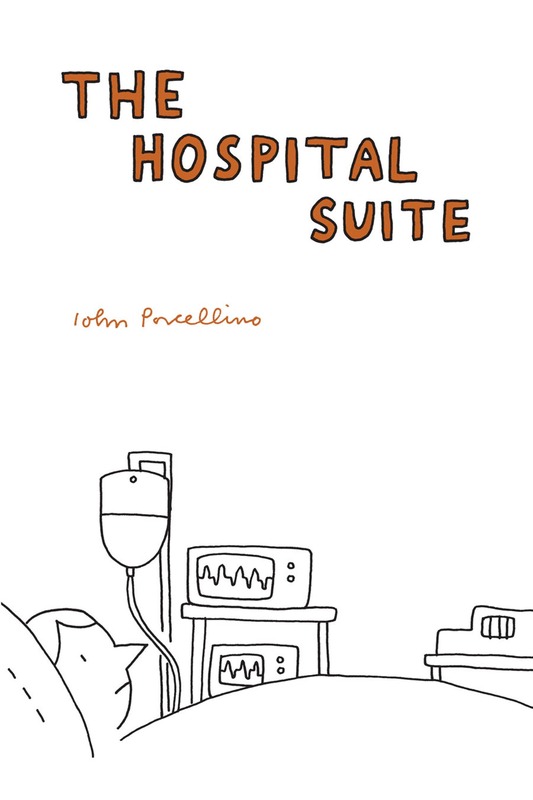 The Hospital Suite features three connected autobiographical short stories by John Porcellino. They are related to King-Cat Comics and Stories, a self-published zine featuring comic strips, essays, letters and other material which Porcellino has continued to produce at regular intervals since 1989, but these are new stories, not previously published. 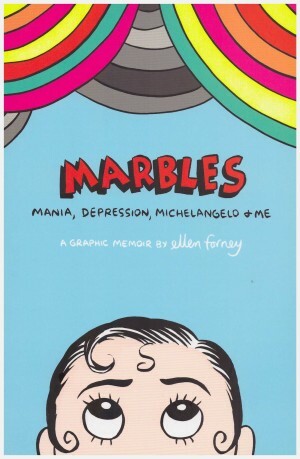 This 264-page softcover book explores Porcellino’s medical history of problems with his body and his mind in more detail than the short episodes that appear in King-Cat. 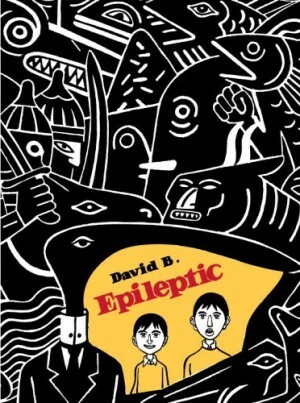 ‘The Hospital Suite’ begins with an explanation of a condition Porcellino has suffered from for years: “In January 1995, I developed a hearing disorder called hyperacusis – where everyday, average sounds could be extremely painful… Things like closing the car door, dropping a fork on a plate, or even turning on a light switch could result in pain and pressure in my ears that lasted anywhere from a day to a month …” Acupuncture and a change to a no-wheat and no-dairy diet helped with these problems but left him very tired and without energy. In the summer of 1997 he decided to try a less restrictive food regime by eating eggs. The almost immediate result was agonising pain in his abdomen so severe that he had to be admitted to hospital. 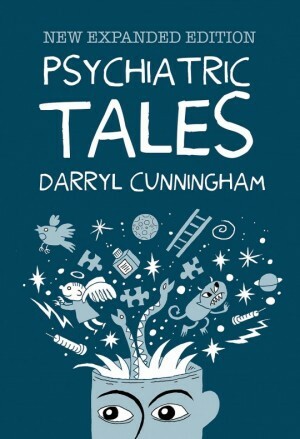 The second story ‘1998’ covers the eventful year than John and his wife Kera go through as he recovers from his surgery the previous year; and ‘True Anxiety’ details the effects of anxiety, depression and obsessive-compulsive disorder on his life, from childhood through to the present. There is enormous skill on display in the way these harrowing episodes are distilled through careful, beautifully minimal pictures into a completely absorbing narrative. It’s astonishing how such spare graphic elements can be combined to tell the most emotionally powerful stories. 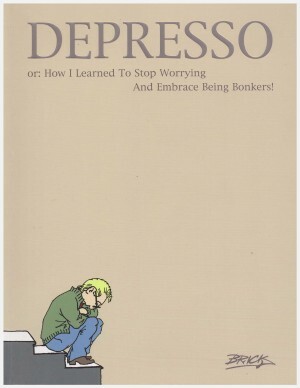 These complex episodes can go from joyful exuberance or calm, insightful reflection to heartbreaking despair almost on the same page. It’s clear from reading that this distillation of drawing to only its most essential lines is a direct expression of John P.’s inner self, and the focus that he brings to concentrating on the present in order to understand his life and inhabit each moment as consciously as he can. You can easily find The Hospital Suite online, but you can also feel the true indie spirit of self-publishing by connecting directly with the author and ordering this book, the previous collection Perfect Example, individual issues of King-Cat Comics and Stories, and the big hardcover collection King-Cat Classix directly from John P. via his Spit-and-a-Half website.